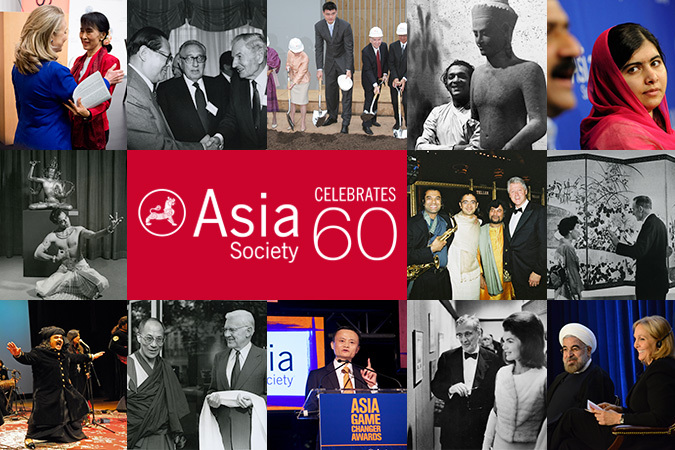 The Asia Society was founded in New York on June 28, 1956, with a mission to build bridges of understanding between the peoples of Asia and the United States, and to use culture and policy as the primary tools for its bridge-building. It was a mission born of John D. Rockefeller 3rd’s profound impression — after repeated trips to Asia in the 1940s and 1950s — that Americans understood poorly the cultures of those nations and peoples he had come to know. This year we celebrate the many ways Asia Society has executed that mission over the past six decades, from Mr. Rockefeller’s early stewardship of the institution to its global expansion, from its impactful policy work to inspiring exhibitions and performances, and from Asian and American leaders who have graced the Asia Society stage. The former president and CEO of Asia Society discusses the organization's legacy. Asia Society's former president discusses the organization's history and legacy. Rachel Cooper lectures on Asia Society's rich history of performing arts and its impact on audiences over the years. For its 60th anniversary, Asia Society reflects on how it's built bridges between the United States and Asia. Asia Society presents a short film about these 60 years — from the story of its founding and early years, to its evolution from a Manhattan institution to a global network of 12 centers. June 28-July 3: See exhibitions for free in celebration of our 60th anniversary. "Asians, like Americans, are impatient for results, but not at the cost of abandoning their own traditions, dismantling thousands of years of social customs, and becoming pale copies of the efficient American stereotype." For "Throwback Thursday," we reach into Asia Society's archives to find a photo from the organization's 60-year history. This week: A Kamakura period Japanese sculpture on display twice at Asia Society, 56 years apart. To this day, this wisdom and lofty vision of Rockefeller are engrained in the very identity of Asia Society, writes Josette Sheeran. Asia Society celebrates 60th anniversary with special exhibitions and signature events across the Society’s global network. Featuring a distinguished panel on The Art of Collecting.